I don’t feel like going into too much detail, but I was feeling a bit frustrated over the past couple of weeks about things that were really out of my control. Those things are still not resolved, and maybe never will be, but over the past couple of days, experiences with other people have made me realize I should focus on and appreciate the positives. So even though Thanksgiving was over a week ago . . .
–My family, who are always there for me no matter what. My mom and I spend hours on the phone together and never run out of things to say. I am very thankful to have such a wonderful relationship with her. My dad has always done his best to make sure I have everything I need, and my sisters know how to have fun. I am thankful that, despite our wide age-range, we are all very close. –My friends, especially those I made at Hillsdale College. It’s been a year and half now since we graduated. We’re spread all over the country and, in some cases, over the world. Yet, despite the fact that we now see each other rarely, we stay in touch. And when we do catch up, either in person, over the phone, or on the internet, it’s never awkward. We can pick up right where we left off. It’s very easy to get nostalgic about those days when we saw each other everyday and shared meals and classes, when you knew the tiniest details about each other’s lives. But I am coming to an appreciation of this new stage in my friendships with these people. No, it’s not the same, but it’s still good. I like knowing that I share a certain bond with these people, and that we will always share a connection with each other, even if other people play a more prominent role at various stages of our lives. So if any of my Hdale friends are reading this, thank you. Our friendship is very important to me. I don’t care if we don’t talk all the time. As long as we make the effort to stay in touch, that’s what counts. This applies to non-Hillsdale friends too, of course. I know life gets in the way sometimes, maybe a lot of times. But making the effort to connect now and again means a lot to me. I am thankful for those of you who do that. –My education. My basic beliefs would probably be similar to what they are now without having attended Hillsdale, but they are certainly stronger for it. Yes, I miss my college classes. No, I am not a nerd. Just a Hillsdale alum. Hillsdale also gave me a strong foundation in reading and writing, which most obviously is helping me to succeed in grad school. There are other things I am grateful for as well, but it’s getting late, and those things are not directly related to the original motivation for this post. I will conclude by saying I am thankful I now only have one paper left to write this semester. I think this is the blog debut for these shoes, right? 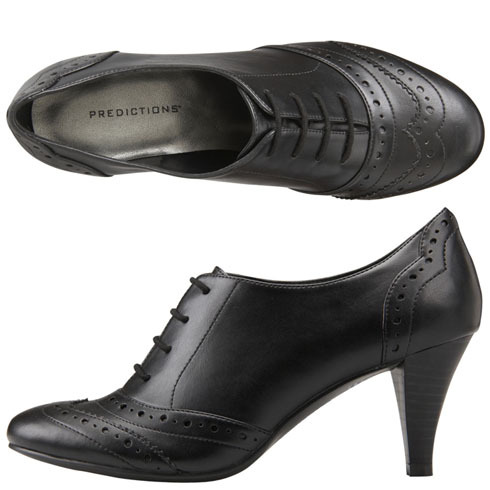 I absolutely love these Oxford Booties, which are from Payless. 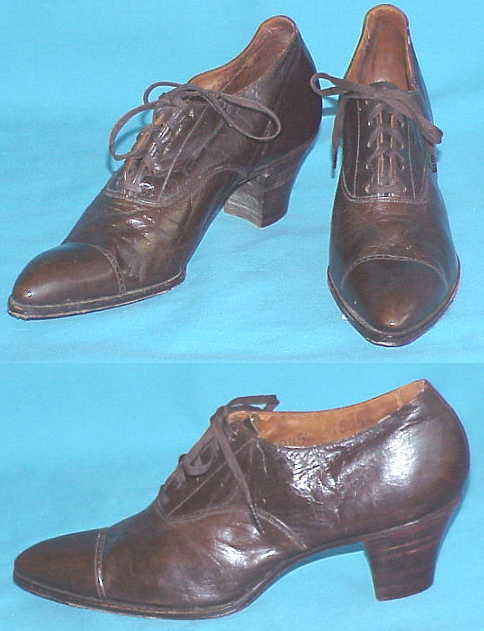 I think my “Victorian” shoes were just the thing to wear when dressing for dinner, don’t you? I think yesterday I had one of my favorite Thanksgiving meals of all time. 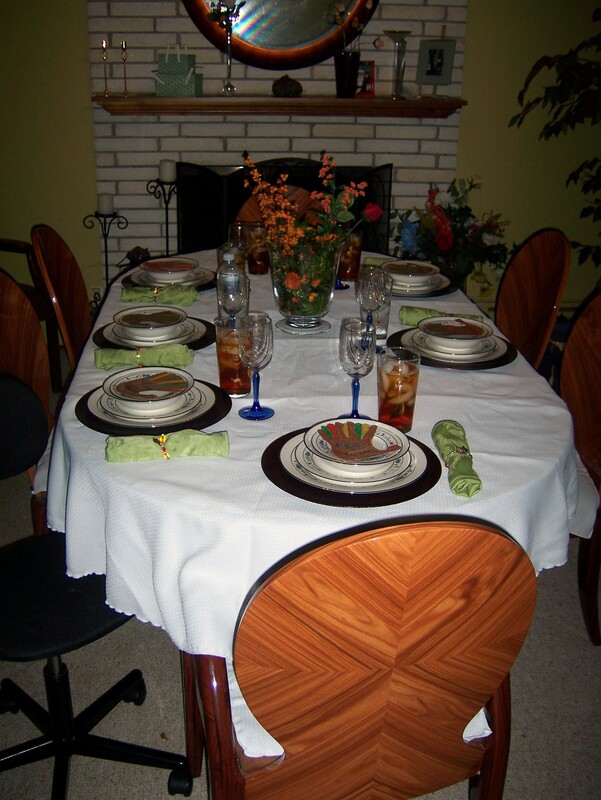 Sara did a lovely job of setting the table for dinner. We had a lot of different food so everyone was able to make Thanksgiving what they wanted it to be. 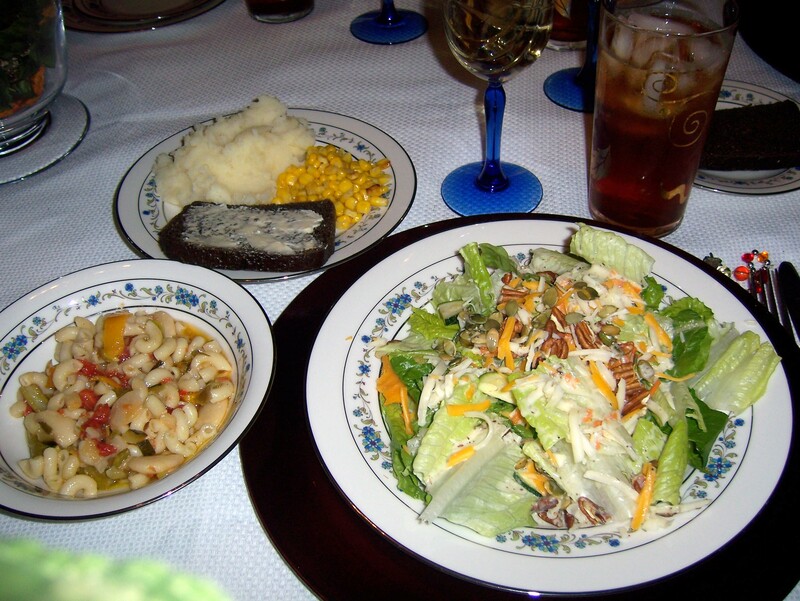 I had salad with lettuce, cheese, pecans, sunflower seeds, and homemade creamy Italian dressing; pasta with an olive oil based sauce and various vegetables; mashed potatoes; corn; a slice of pumpernickel bread; iced tea; and chilled white wine. Later, I had a chocolate cupcake and a small piece of pumpkin pie (both delicious and baked by Sara). What did you have for your meal? Which was your favorite dish? This afternoon when I get off work, my mom and I are going to do the Thanksgiving shopping. Have you done yours yet? Any special plans? Ours is a small gathering–just 7 people, but I always enjoy it (especially the mashed potatoes).